Home » » Armed Robbers Arrested After a Shootout with Security Operatives in Bayelsa State. 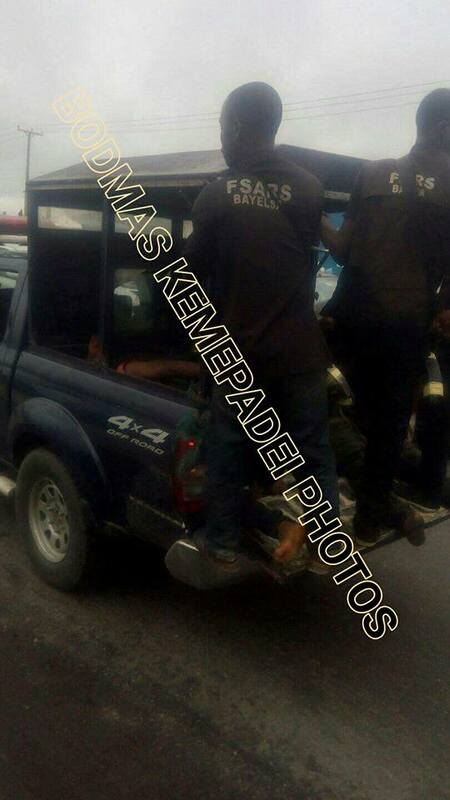 Armed Robbers Arrested After a Shootout with Security Operatives in Bayelsa State. 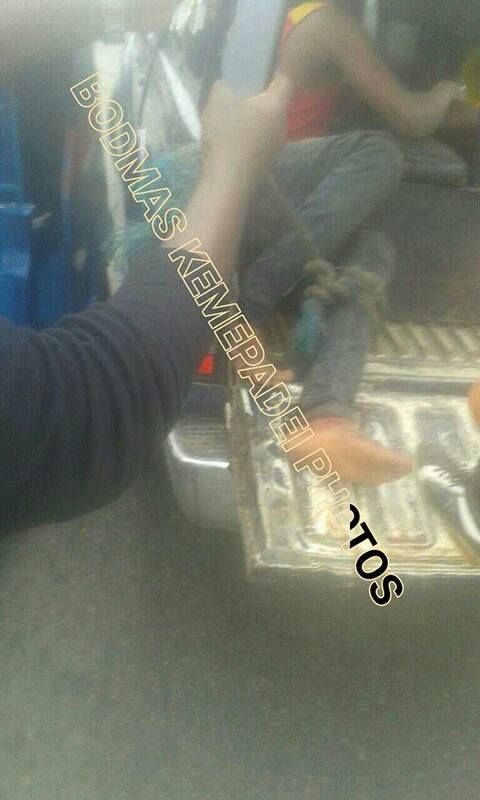 Men of the Special Anti-Robbery Squad on Saturday, October 13 apprehended deadly armed robbers along Yenizue-Epie new Road, Yenagoa Bayelsa state. Eyewitnesses said the armed robbers were given a chase by angry mob after they had successfully robbed a man identified as a 'school principal' of cash he withdrew from the bank for payment of teachers' salaries. However, the robbers met their waterloo while trying to escape through the Sani-Abacha expressway route by the aforementioned location but were shot after a heavy shootout between them and police officers. 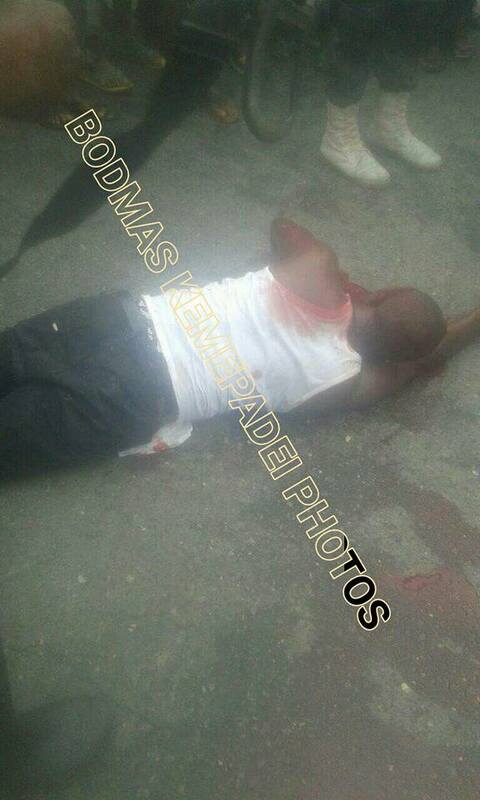 One of the robbers was shot, and arrested alongside his colleagues.